Gun violence at schools across the nation in recent years has led to many states enacting further restrictions on the possession of weapons and firearms on all types of educational property. In Florida, possessing a weapon or discharging a firearm on or near school grounds is a felony offense. Because of the highly sensitive nature of these kinds of crimes, prosecutors will often seek the toughest possible punishments for alleged offenders. People can face these charges even when they have valid concealed weapons licenses. If you have been arrested for allegedly possessing a weapon or discharging a firearm on or near any kind of school property in Florida, you should seek legal representation right away. 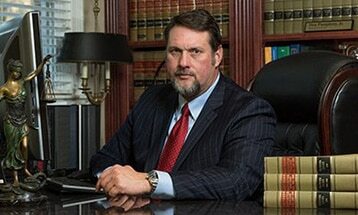 Pumphrey Law works tirelessly to get criminal charges for alleged gun crimes reduced or possibly even dismissed. Our criminal defense attorneys in Tallahassee also serve many surrounding communities, including Port St. Joe, Graceville, Perry, Marianna, Malone, Blountstown, and Wewahitchka. We can evaluate your case and help you understand all of your legal options as soon as you call (850) 681-7777 for a free, confidential consultation. What kinds of school property are weapons prohibited on or near? How are alleged offender punished if they are convicted? Where can I find more information about school safety? It is also a third-degree felony for an alleged offender to willfully and knowingly possess any of the above items at a school-sponsored event or on the property of any school, school bus, or school bus stop. If an alleged offender discharges a firearm at a school-sponsored event or on the property of any school, school bus, or school bus stop, it is a second-degree felony. Within the interior of a private conveyance of a vehicle if the firearm or other weapon is securely encased or is otherwise not readily accessible for immediate use. At the time, the alleged offender was at a school-sponsored event or on the grounds or facilities of any school, school bus, or school bus stop, or within 1,000 feet of the real property that comprises a public or private elementary school, middle school, or secondary school, during school hours during school hours or during the time of a sanctioned school activity. Criminal charges for possession of a firearm or other weapon on or near school property are largely the same, although a prosecutor does not need to prove that the alleged offender exhibited the weapon in any way. Alleged offenders who discharged firearms or exhibited weapons in lawful self-defense cannot be found guilty of these crimes. Up to 15 years in prison and/or a fine of up to $10,000. A conviction for a felony offense can have dramatic consequences for an alleged offender. In addition to a damaging criminal record that can impact possible employment opportunities, convicted felons also their rights to own or possess firearms. View the full statute for possessing or discharging weapons or firearms at a school-sponsored event or on school property. You can learn more about related misdemeanor offenses for storing or leaving a loaded firearm within the reach or easy access of a minor who obtains the firearm and commits any of the violations listed on this page. The statute also outlines procedures for minors under 18 years of age who are charged with possessing or discharging a firearm on school property. Students for Concealed Carry on Campus is a national, non-partisan, grassroots organization composed of college students, faculty, and others who believe that people with concealed weapon licenses should be allowed carry concealed weapons on college campuses. Florida has chapters at the Florida State University, University of Florida, University of Central Florida, University of North Florida, and the University of South Florida. The Florida House of Representatives passed a bill that would have allowed concealed weapon license holders to carry concealed weapons on college and university campuses, but the Senate Judiciary Committee Chairman refused to schedule a hearing for the legislation. Visit the website of the Florida Statute to learn more about disciplinary actions against students for weapon and firearm offenses, and trespass on school property with a firearm or weapon. Also find information on the duties of the district for school safety issues and student discipline. Were you arrested in Florida for allegedly exhibiting, possessing, or discharging a firearm or other weapon on school property? Regardless of whether you had a concealed weapons license, you could face severe criminal penalties. The Tallahassee criminal defense attorneys of Pumphrey Law represent clients throughout Madison County, Leon County, Jackson County, Gulf County, Calhoun County, and Taylor County. You can have us review your case during a free consultation by calling (850) 681-7777 or filling out an online contact form. This article was last updated on August 15, 2016.